On July 23, 2018, York University and the City of Markham held a land acknowledegment ceremony for the York University Markham Centre Campus, which will open its doors in 2021. The ceremony was a recognition of our presence on the traditional territory of the Mississaugas of the New Credit, and of our ongoing commitment to Reconciliation through programming, research and other initiatives. 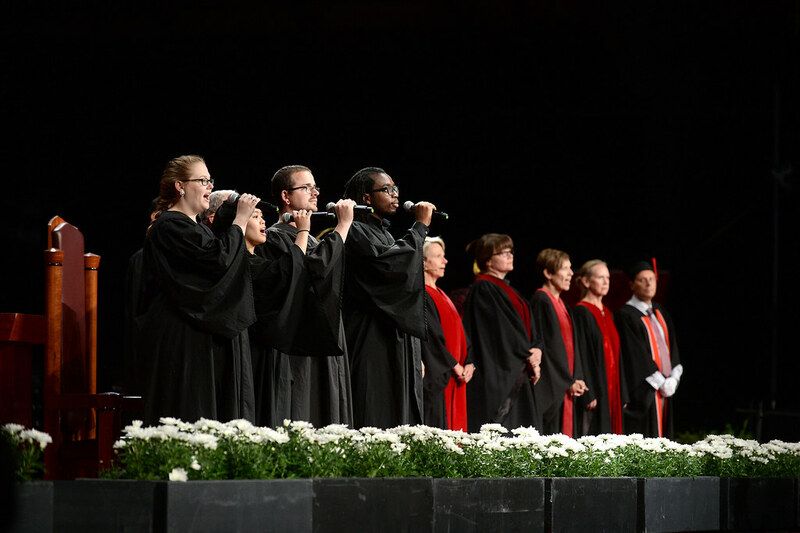 On June 22, 2018, York University celebrated graduates from the Osgoode Hall Law School at the afternoon convocation ceremony. 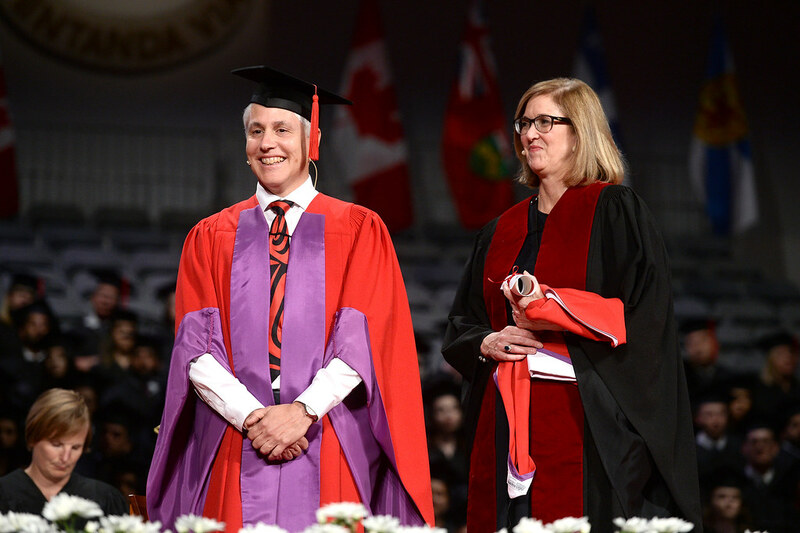 Educator and expert in Indigenous law Dr. John Borrows was also conferred with an honorary Doctor of Laws. 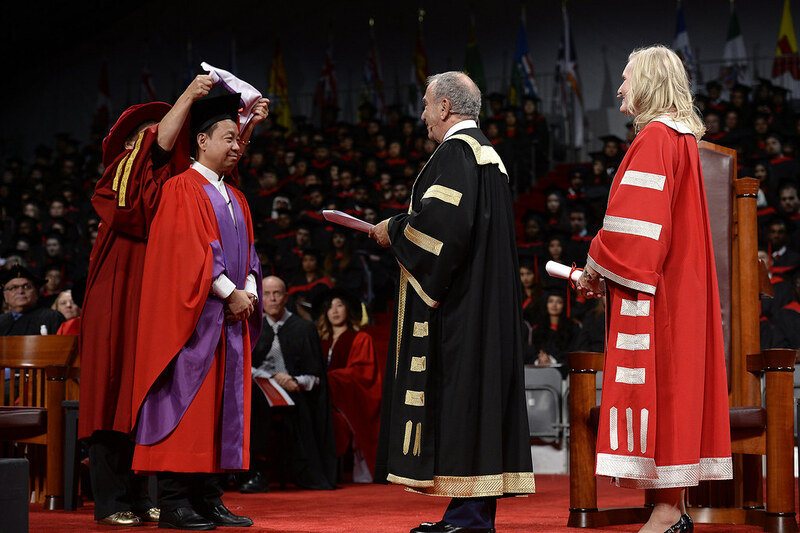 On June 22, 2018, York University celebrated graduates from the Schulich School of Business at the morning convocation ceremony. 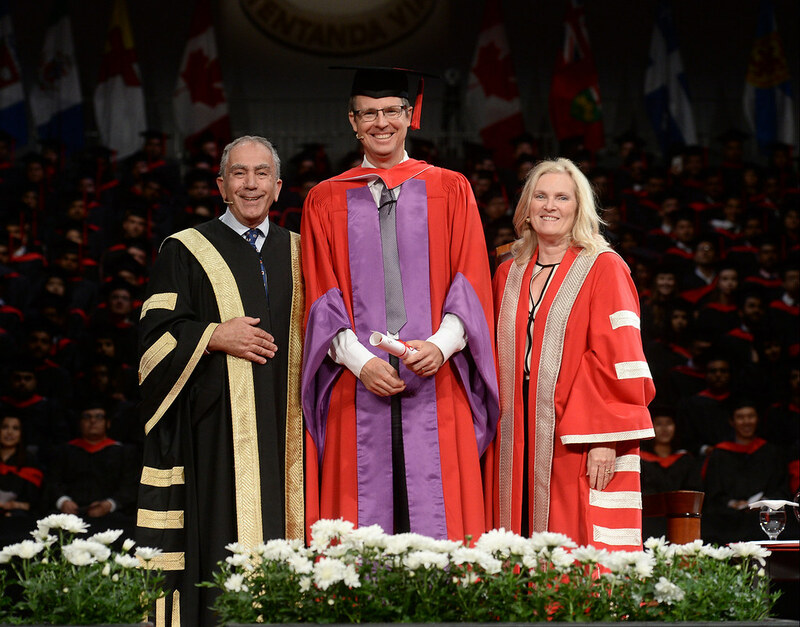 Corporate leader and sustainable enterprise advocate Galen G. Weston was also conferred with an honorary Doctor of Laws. 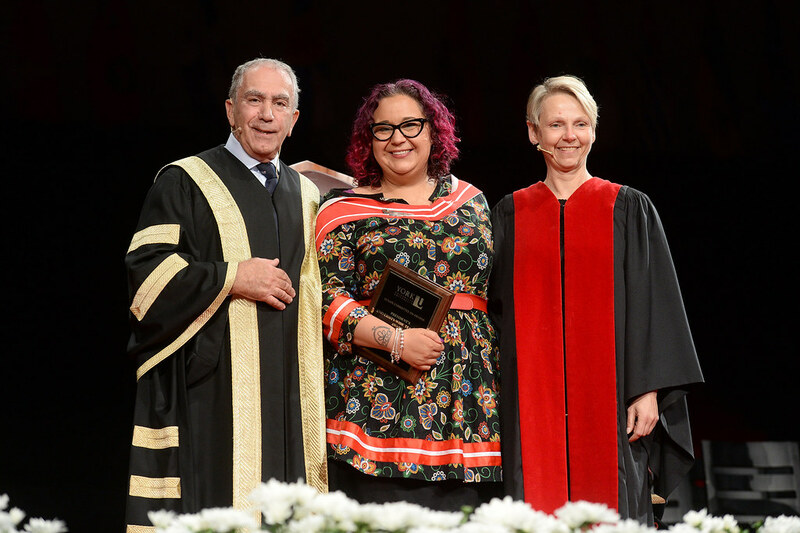 On June 21, 2018, York University celebrated graduates from the Faculty of Education at the afternoon convocation ceremony. Public education advocate Annie Kidder was also conferred with an honorary Doctor of Laws. 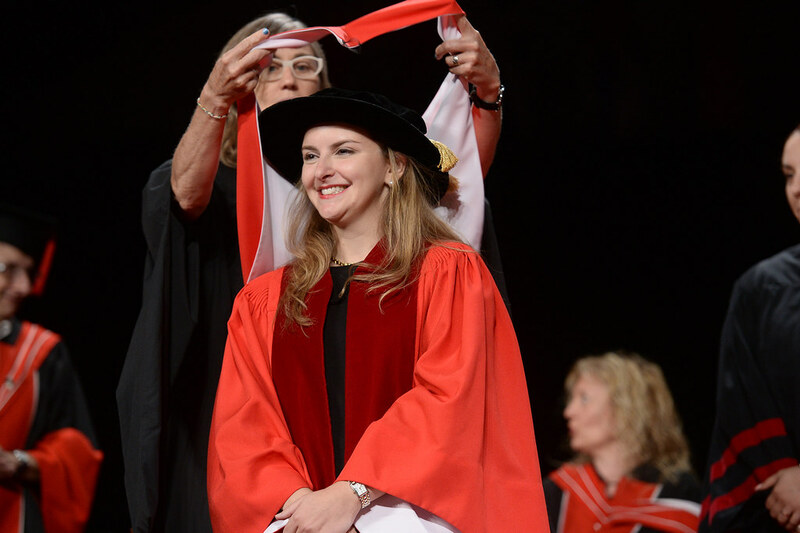 On June 21, 2018, York University celebrated graduates from the Faculty of Science and the Lassonde School of Engineering at the morning convocation ceremony. Business entrepreneur and sustainable energy advocate James Temerty was also conferred with an honorary Doctor of Laws. On June 20, 2018, York University celebrated graduates from the Faculty of Liberal Arts and Professional Studies and Glendon Campus at the afternoon convocation ceremony. Social innovator and international development leader Tim Brodhead was also conferred with an honorary Doctor of Laws. On June 20, 2018, York University celebrated graduates from the Faculty of Liberal Arts and Professional Studies at the morning convocation ceremony. Professor Ruth Koleszar-Green was also honoured with a University-Wide Teaching Award for her dedication to excellence in teaching. On June 19, 2018, York University celebrated graduates from the Faculty of Liberal Arts and Professional Studies at the afternoon convocation ceremony. Communications leader and philanthropist Tony Gagliano was also conferred with an honorary Doctor of Laws. 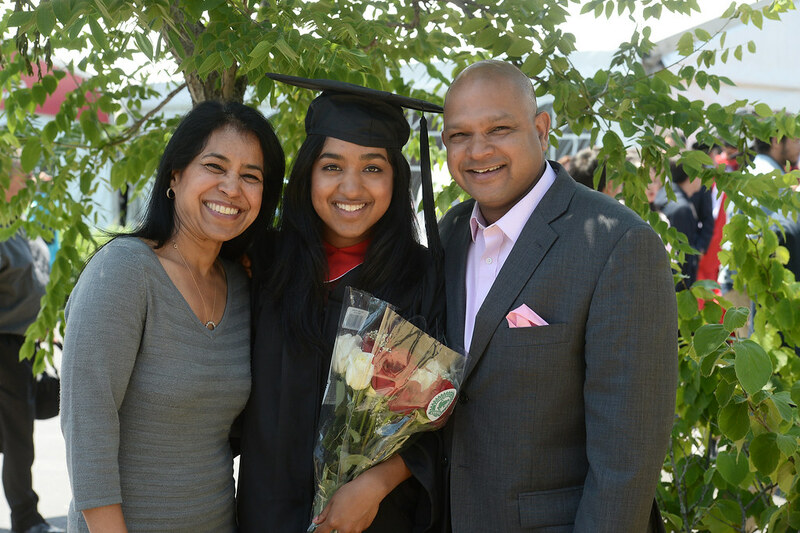 On June 19, 2018, York University celebrated graduates from the Faculty of Liberal Arts and Professional Studies. Humanities Professor Bernard Lightman, a renowned leader in the field of the history of science, was also named a Distinguished Research Professor in recognition of his contributions to the intellectual life of the University. 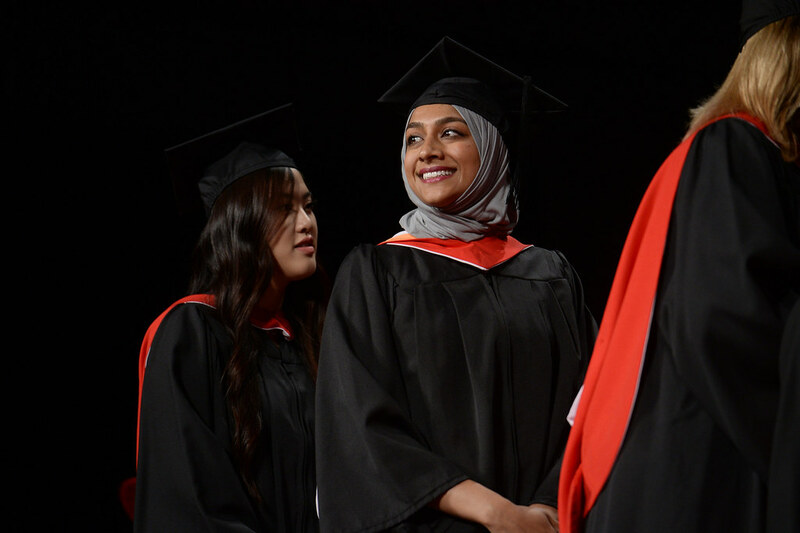 On June 18, 2018, York University celebrated graduates from the Faculty of Liberal Arts and Professional Studies and the School of the Arts, Media, Performance and Design at the afternoon convocation ceremony. 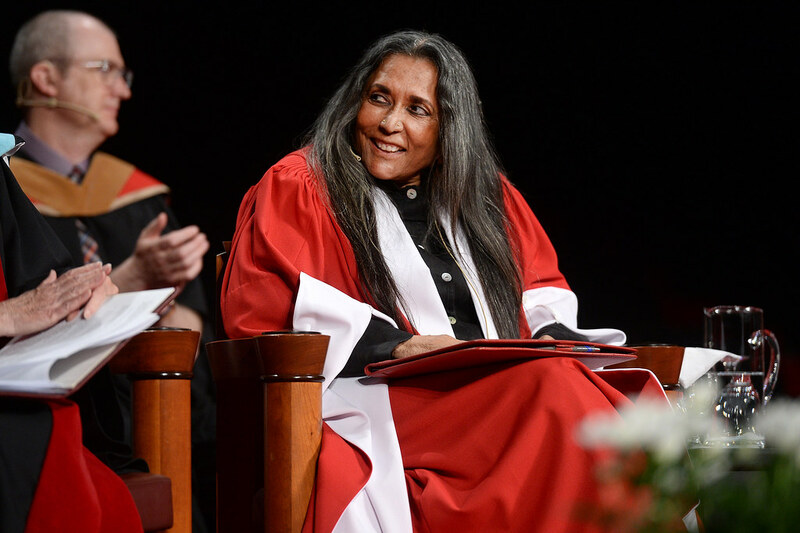 Renowned documentarian and cultural translator Deepa Mehta was also conferred with an honorary Doctor of Literature. 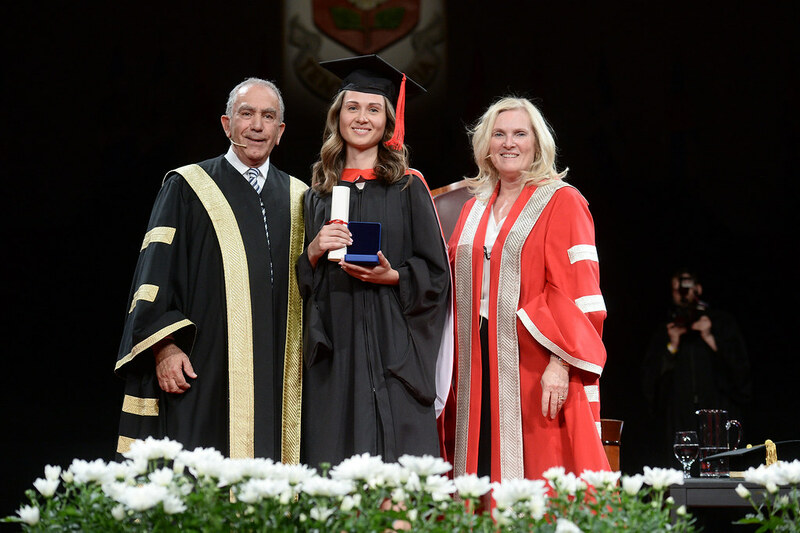 On June 18, 2018, York University celebrated graduates from the Faculty of Health at the morning convocation ceremony. Physician and international health visionary Dr. Narendra Chetram Singh was also conferred with an honorary Doctor of Laws. 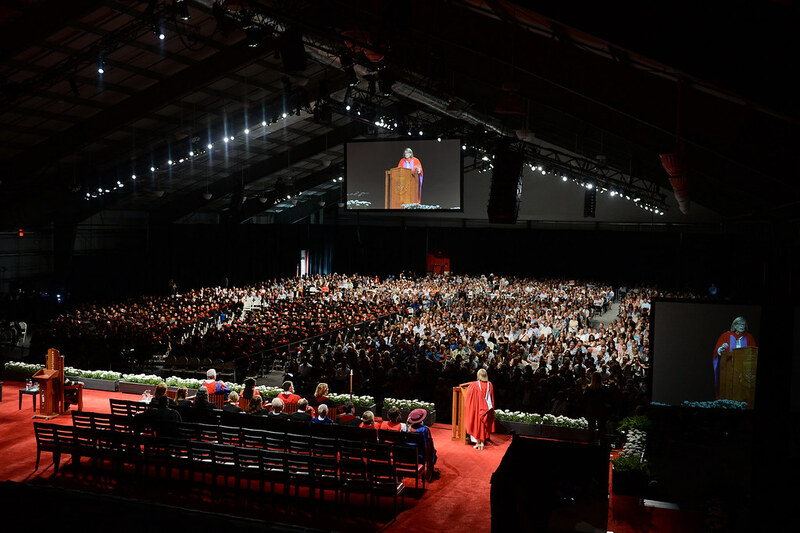 On June 15, 2018, York University celebrated graduates from the Faculties of Health and of Environmental Studies at the afternoon convocation ceremony. 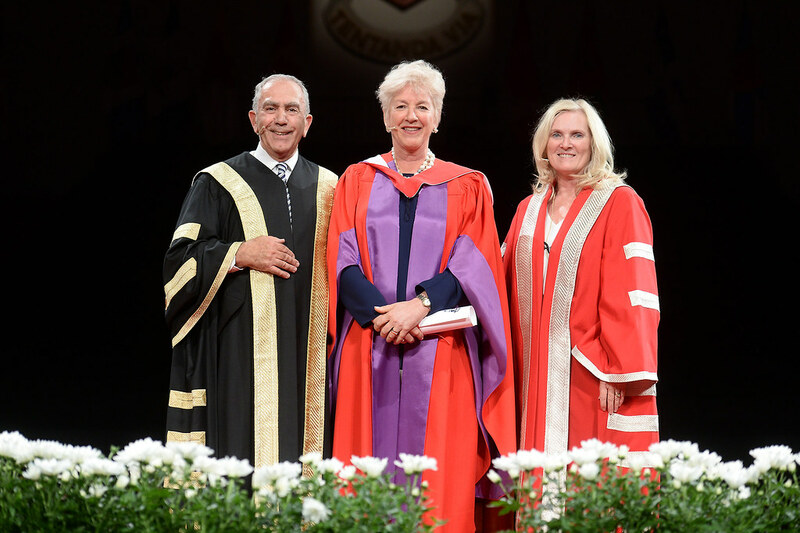 Corporate leader and advocate for mental health and women's rights Annette Verschuren was also conferred with an honorary Doctor of Laws. 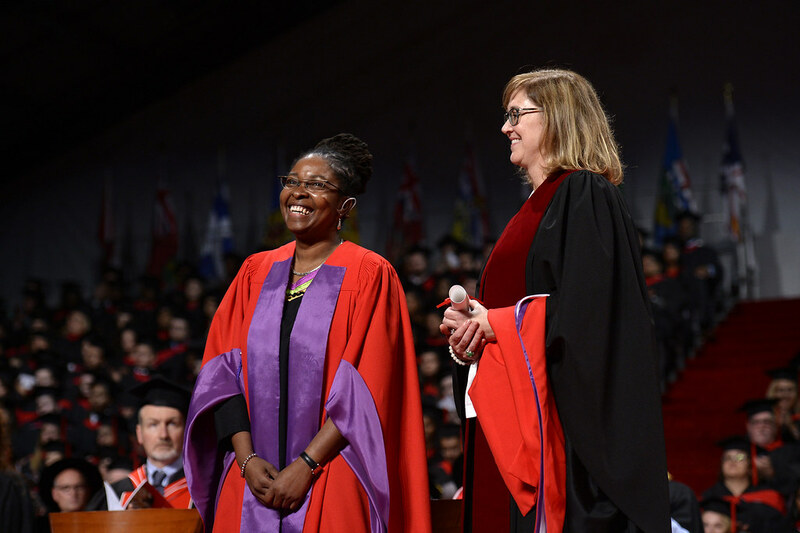 On June 15, 2018, York University celebrated graduates from the Faculty of Health at the morning convocation ceremony. 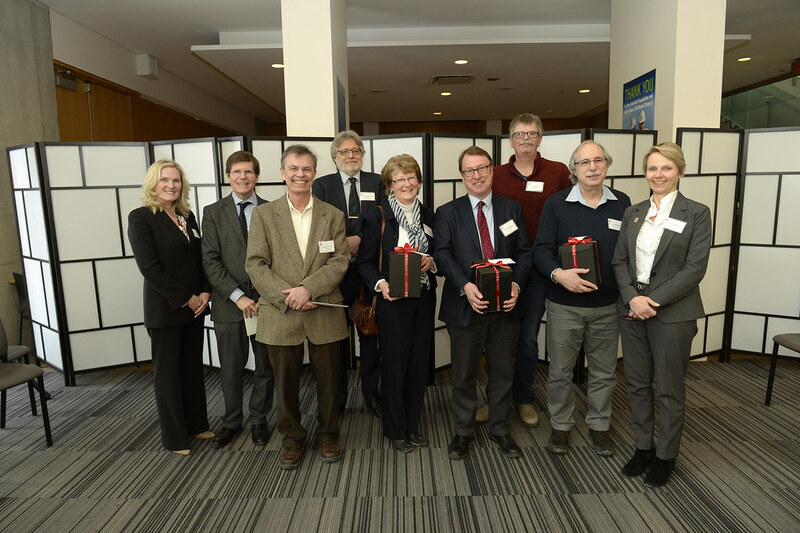 On February 12, 2018, York University celebrated the dedication and excellence of long-serving faculty members in the community. In addition to recognizing the faculty members' years of service, the University also recognized their commitment to making a positive impact through their teaching, mentoring, research and scholarship. 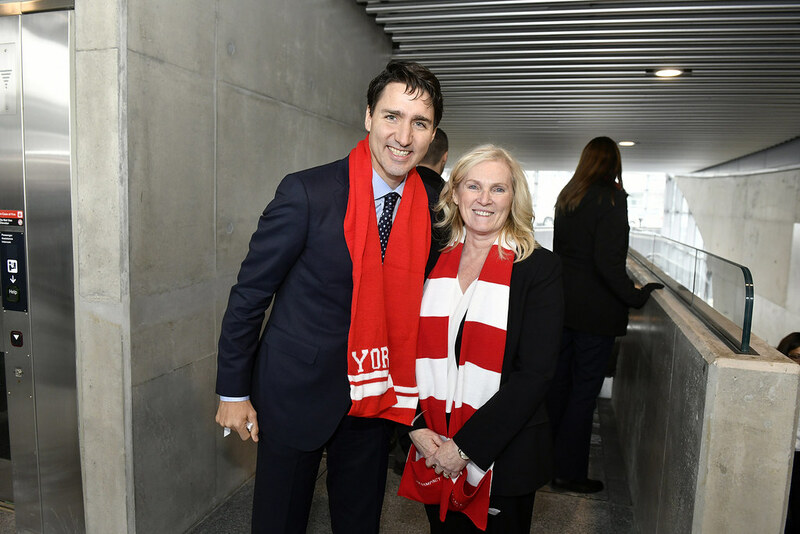 On Friday, December 15, 2017, York University hosted an historic celebration to mark the opening of two new subway stations on its Keele Campus. The York University and Pioneer Village Stations are part of the Toronto-York Spadina Subway Extension, and are the exciting result of community-wide collaboration that reflects the sustained efforts of community partners, the TTC and government officials at every level. On Monday, November 6, 2017, York University celebrated the official opening of YSpace, its new innovation and entrepreneurship centre in Markham aimed at helping aspiring entrepreneurs turn ideas into action. On Friday, October 20, 2017, York University celebrated graduates from the Kellogg-Schulich Executive MBA program. 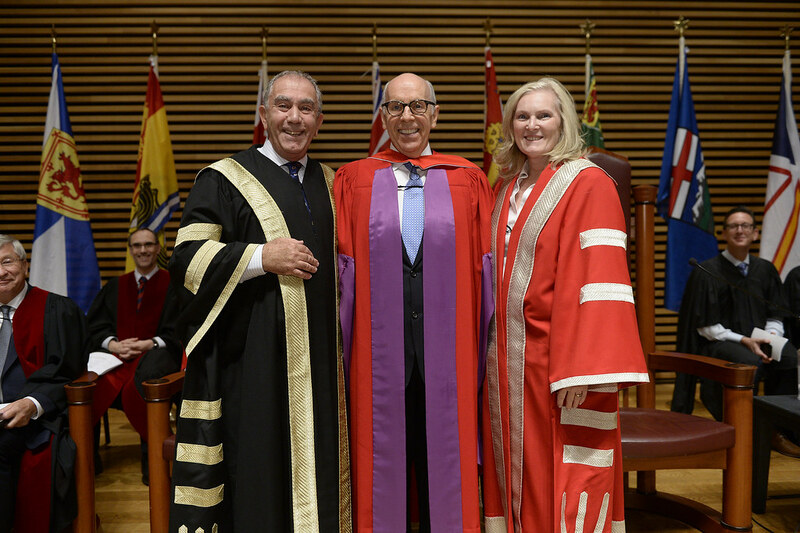 Business leader Ron Mock was also conferred an honorary Doctor of Laws for his work as a champion of socially responsible business and gender equality. 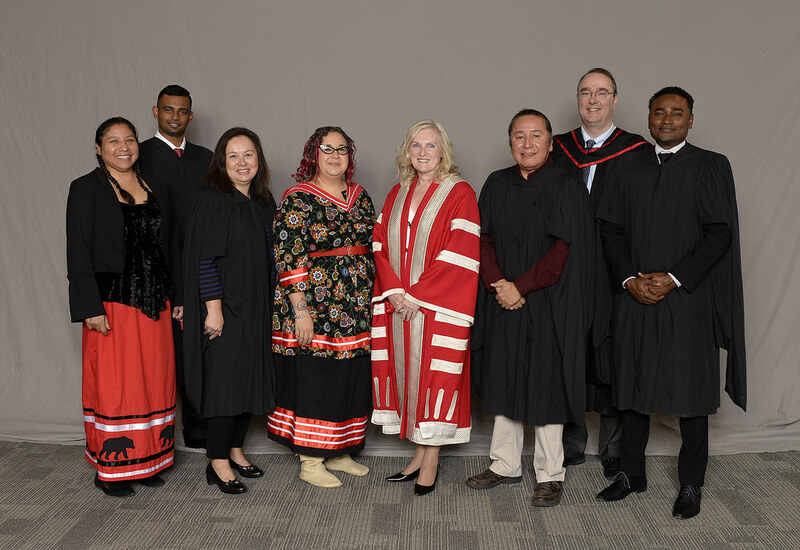 On October 19, 2017, York University celebrated Fall Convocation's honorary doctorate recipients Angela Robertson, Rudy Bratty, Ronald Mock, and Vincent Tao for leadership in their respective fields and their community impact. In the afternoon ceremony on October 19, 2017, York University celebrated graduates from the School of the Arts, Media, Performance and Design as well as the Faculty of Environmental Studies and the Faculty of Liberal Arts & Professional Studies. Community advocate Angela Robertson was conferred with an honorary Doctor of Laws. On October 19, 2017, York University celebrated graduates from the Faculty of Liberal Arts and Professional Studies at the morning convocation ceremony. Real estate developer and philanthropist Rudy Bratty was also conferred with an honorary Doctor of Laws. 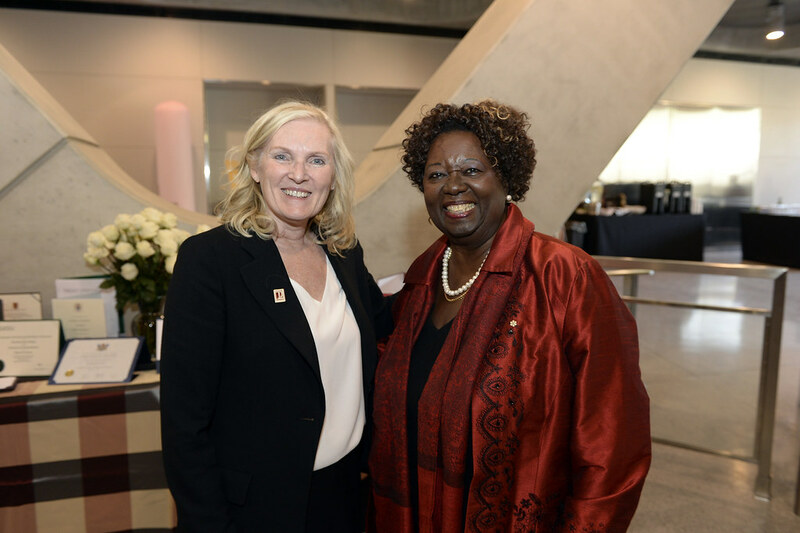 On October 18, 2017, the York University community celebrated the installation of its eighth president and vice-chancellor, Rhonda L. Lenton, with a reception in the newly constructed York University TTC Subway Station, which opens for service in December 2017. 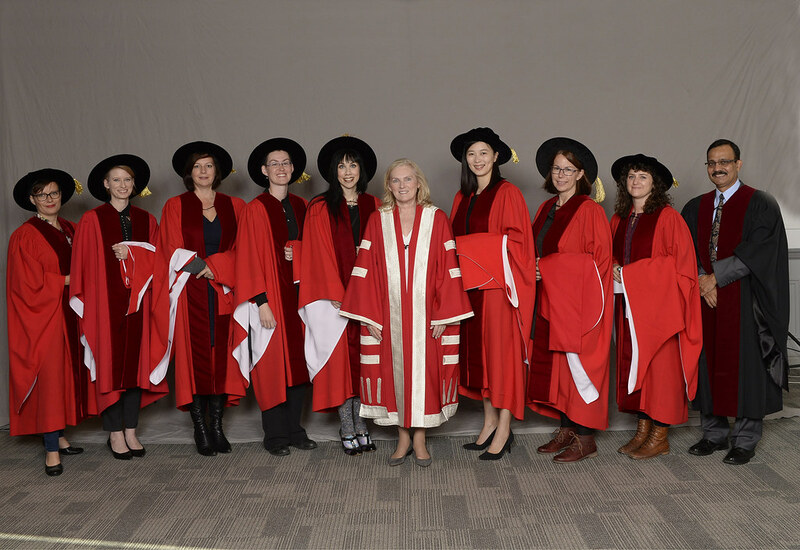 On October 18, 2017, York University celebrated graduates from the Faculties of Health, Education, and the Lassonde School of Engineering at the afternoon convocation ceremony. Technological visionary and global entrepreneur Vincent Tao was also conferred with an honorary Doctor of Laws. 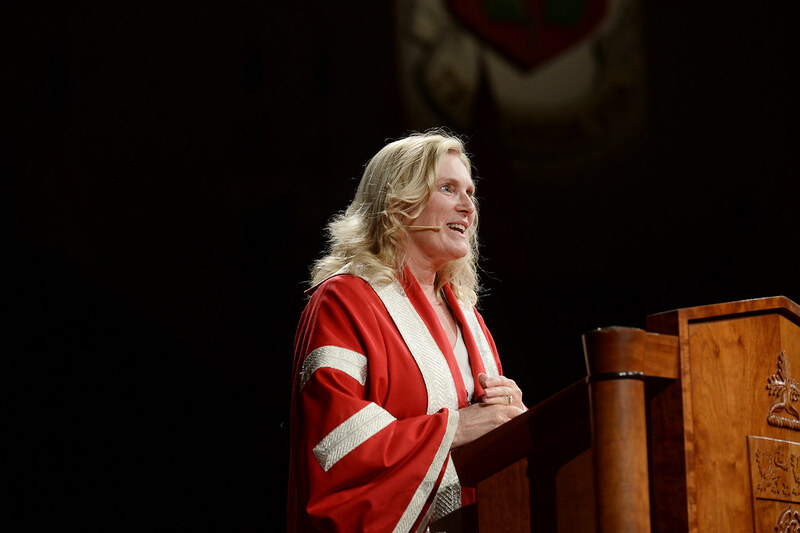 On October 18, 2017, York University installed Rhonda L. Lenton as its eighth president and vice-chancellor at the first ceremony for 2017 Fall Convocation, which celebrated graduates from Glendon College, Osgoode Hall Law School, Schulich School of Business, and the Faculty of Science. On October 17, 2017, York University celebrated Red & White Day, an annual celebration of York spirit and pride. As part of the festivities, University community members attended a reception in honour of the installation of Rhonda L. Lenton as York's eighth president and vice-chancellor. The winner of the #YorkUMyVision student contest was also announced. Congratulations to Jathusha Mahenthirarajan, a first-year Human Rights & Equity Studies Major. 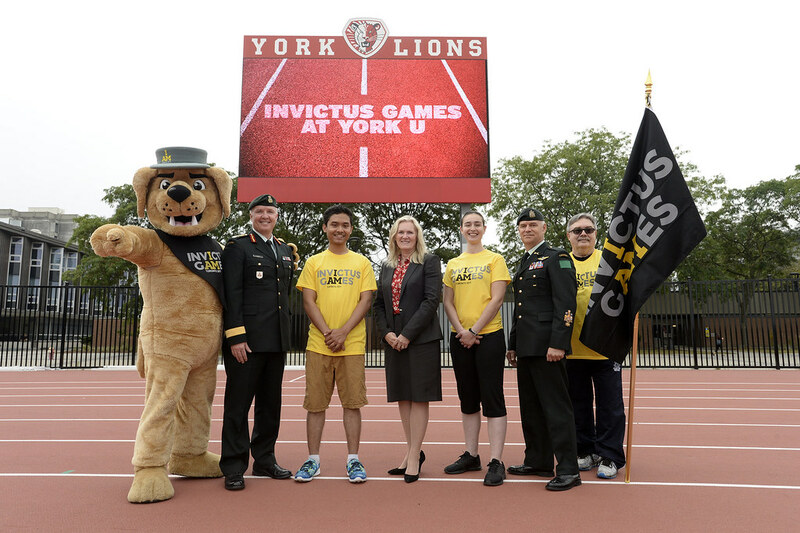 On September 20, 2017, York University welcomed the Invictus Games Toronto 2017 National Flag Tour to campus. President Lenton announced the new York University Service Award in support of increased access to post-secondary education for Canada’s Military personnel and their children. 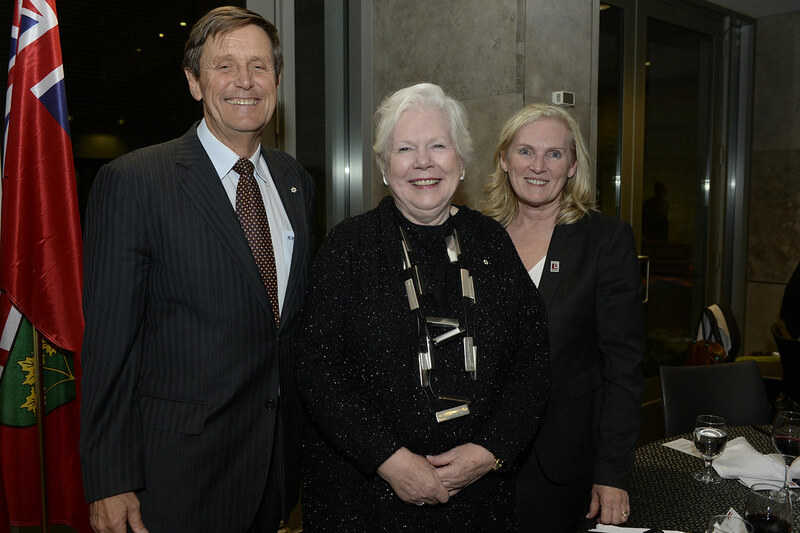 On September 14, 2017, the York University community celebrated the announcement of the Carswell Family Foundation's most recent donation to York University, which will support the funding of a new, custom one-metre telescope for the observatory. 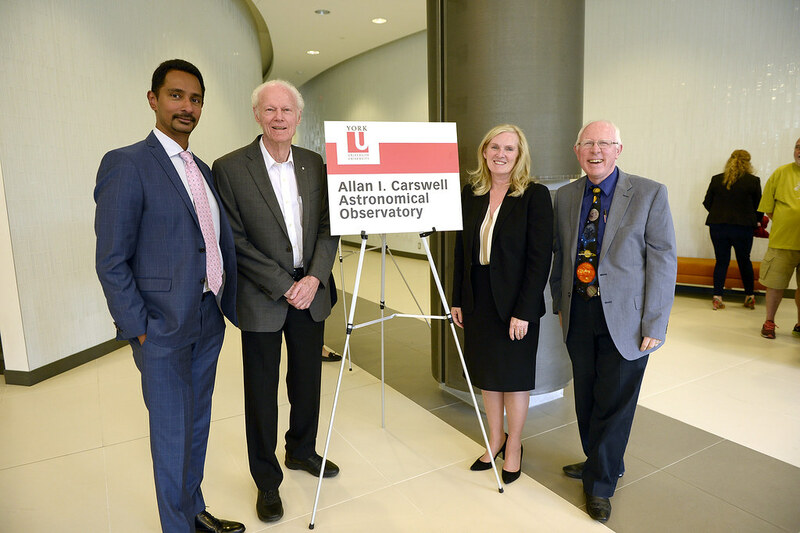 The York University Observatory was also renamed the Allan I. Carswell Astronomical Observatory in honour of Professor Carswell's long-time contributions to science and to the York University community. 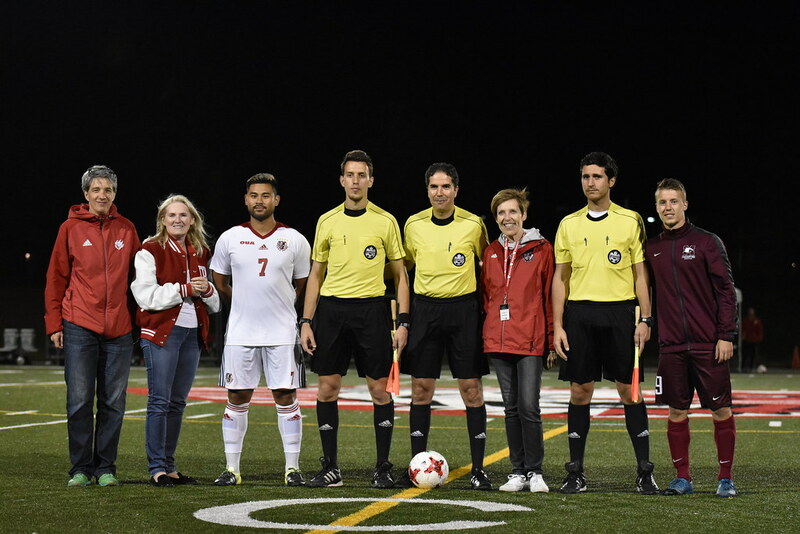 On September 7, 2017, the York Lions men's and women's soccer teams played matches against the McMaster Marauders at Alumni Field. Vice-Provost, Students Lucy Fromowitz joined President Lenton in the stands to cheer on our Lions. 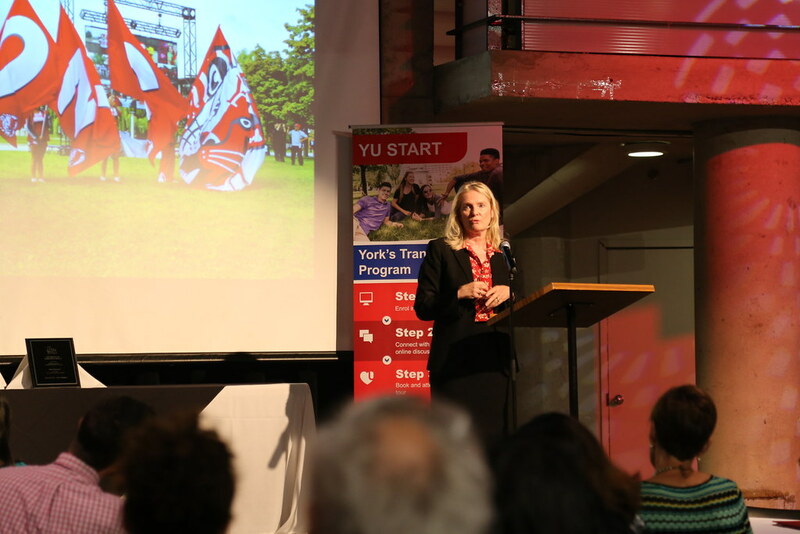 On July 20, 2017, members of the community gathered to celebrate YU START, York’s New Student Transition Program. YU START was recently recognized with Canadian Association of College and University Student Services (CACUSS) Innovation Award and The Canadian Association of University Business Officers (CAUBO) Quality and Productivity Award for their unique and innovative approach to the student transition process. From July 16 to July 22, York University hosted the 2017 North American Indigenous Games at the York Lions Stadium on Keele Campus. York was among several venues in the Greater Toronto Area and surrounding regions that served as a venue for the games, which provide Indigenous youth the opportunity to compete in 14 sporting events. 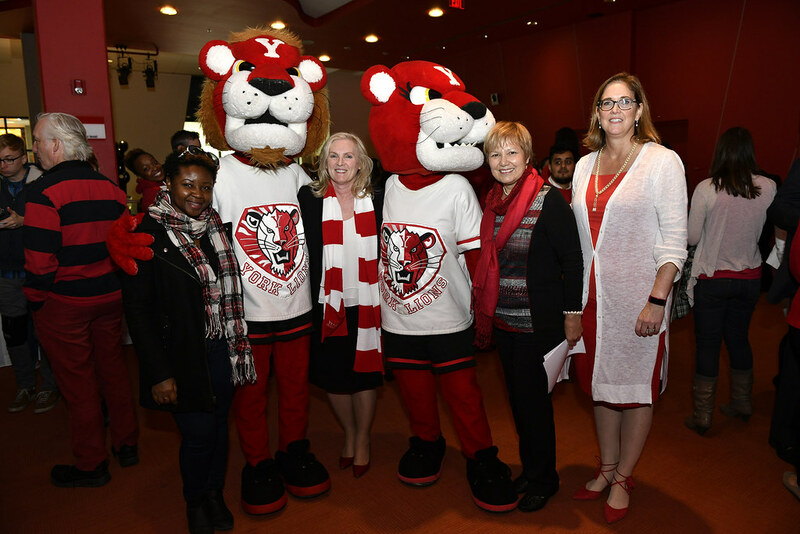 On April 3, 2017 the York University community gathered to celebrate the announcement of Dr. Rhonda Lenton as the University's President Designate. Two welcome cafés were held, one at York's Glendon Campus and one at the Keele Campus. 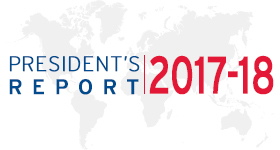 Dr. Lenton became York University's 8th President and Vice-Chancellor on July 1, 2017. 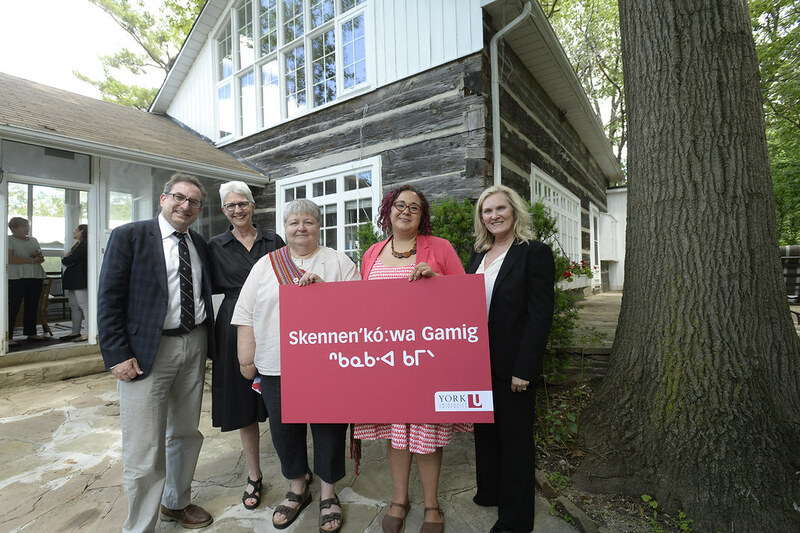 At a ceremony during National Indigenous Peoples Day at York University on June 21, Hart House was renamed Skennen’kó:wa Gamig, the House of Great Peace. The name comes from both Mohawk and Anishinaabe languages, bringing together two of the confederacies that uphold and engage in the Dish with One Spoon Wampum territory. The newly renovated building will be a welcoming, safe & supportive space for Indigenous students, faculty, staff and guests. 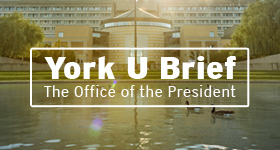 Click here to view the all the pictures on the Office of the President's Flickr webpage.